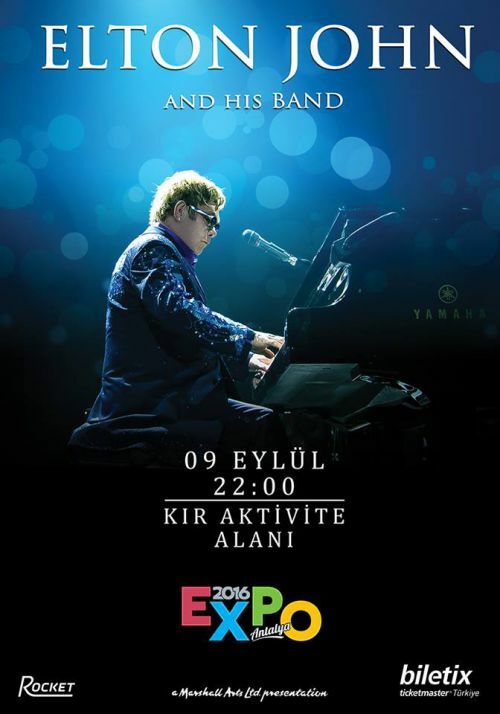 English pianist, singer, songwriter and composer Elton John will be at Expo 2016 Antalya on September 9, 2016. In his four-decade career John has sold more than 250 million records, making him one of the most successful artists of all time. His single for Lady Di "Candle in the Wind" has sold over 33 million copies worldwide, and is the best selling single in Billboard history. He has won six Grammy Awards, an Academy Award, a Golden Globe Award and a Tony Award. World-famous British singer and song writer Elton John sent a letter to EXPO 2016 Antalya Agency informing that he would be attending his upcoming concert on September 9th. John said that he knew Turkey well from his previous engagements and describing the events as a “headache”. He said he was well aware that events were deliberately perpetrated to disturb atmosphere of freedom and democracy in Turkey. But that won’t put any shadow to beauty and goodness of this country, he stressed. 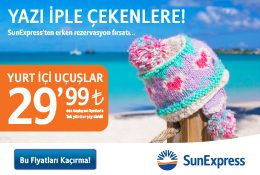 He broke the good news that he would be attending his planned concert in Antalya with great pleasure.